Choosing the right point-of-sale (POS) system for your business can be daunting. 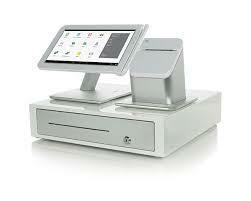 Owners want a POS system that meets their needs with flexibility for the future. We offer products based on efficiency, speed and affordability. FD130EMV chip technology has arrived. Is your POS terminal ready?The FD130 Terminal allows you to accept payments quickly and gets you ready for the latest in EMV chip-enabled payment devices. The FD130 Terminal from First Data is an affordable solution that combines performance, reliability and ease of use in compact, feature-rich devices. The best part is the FD130 Terminal is ready for EMV technology, the new industry standard in security. The FD130 uses cutting-edge technology to enable you to accept transactions when a customer presents you with an EMV card; a card embedded with a special chip that adds an important layer of security. In addition to the added security, the FD130 Terminal gives you full range of solutions for payment processing, including credit, debit, gift cards, personal paper checks and EBT. 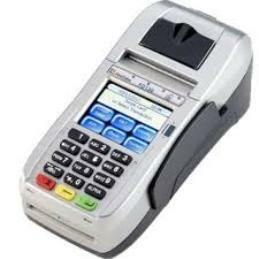 Here’s How It WorksThe FD130 Terminal is all you need to safely and securely accept card payments. Installation of the First Data FD130 Terminal is simple, with easy-to-follow on-screen prompts. The FD130 terminal allows you to accept all major credit cards, contactless payments and gift cards. Plus, you’ll now be able to accept EMV chip card presented to you by your customers. With the further addition of a check reader or pin pad, you can also accept debit pin/signature transactions as well as paper checks, which can be transmitted in electronic form by opting for the TeleCheck Electronic Check Acceptance® solution. As an option, the FD130 also offers Dynamic Currency Conversion (DCC) service, which makes it possible for international customers to pay in their own currency. The First Data FD200 terminal virtually eliminates the need to use several devices to process different forms of payment. Through Wi-Fi (optional), Internet protocol (IP) or dial-up communications, it quickly and securely processes transactions. It features an advanced, built-in check reader/imager to support the TeleCheck ECA and lockbox services, including warranty and verification options. Both TeleCheck services help reduce the risk of accepting paper checks and save time by eliminating the need to physically take checks to the bank for deposit and processing. Such services also help protect consumers´ personal information, as their check is returned to them at the POS. The terminal also offers fast downloads and feature dual built-in printers, resulting in a space-saving footprint. The thermal printer handles receipts while the inkjet printer is dedicated to voiding checks, helping to speed transactions and conserve ink. Through its magnetic-strip reader, the FD200 terminal accepts all major credit cards including Visa®, American Express®, MasterCard®/Diners Club®, Discover® and JCB®. The built-in check reader/imager processes paper checks through the TeleCheck ECA service, including warranty and verification options. The TeleCheck ECA service helps lower the risk of accepting a paper check and saves time by eliminating the need to physically take checks to the bank for deposit and processing. It also helps protect consumers´ personal information, as their check is returned to them at the POS. All FD200 terminal payment transactions are processed through a Wi-Fi (optional), IP or dial-up connection. Customer receipts are thermal printed with only the last four card numbers showing, to further protect against fraud and identity theft. The FD200 terminal also offers optional Dynamic Currency Conversion (DCC) service* from First Data, providing international customers the option to pay in their credit card currency. ​Accept payments quickly and securely anywhere your business takes you! The FD410 is a wireless, hand-held POS system with a full range of payment options. The FD410 terminal from First Data is a wireless, hand-held point-of-sale device that merchants can easily use remotely to provide customers with the convenience of a full range of payment options. You’ll have access to wireless downloads wherever your business takes you. And with the touch-screen interface, it is an easy product to train on and use. This terminal enables you to receive the full range of solutions for payment processing, including credit, debit, gift cards, personal paper checks and EBT, all from a single provider. Plus, with the “store-and-forward” capability, you can ensure card-present rates when there is no signal at the time of the transaction. Here’s How It Works. The FD410 terminal is all you need to safely and securely accept card payments on the go. ​A simple, reliable and secure payment gateway solution that meets your online payment acceptance needs today and your growth plans for tomorrow. Whether you are just starting a new business, looking for a more PCI compliant website solution or wanting to seamlessly integrate payment processing to your website, the Payeezy Gateway solution makes it easy to accept a wide range of payments and manage your payment transactions anytime, anywhere. A highly intuitive web-based interface and simple API’s allow you to remove the complexity of accepting card-not-present payments quickly and easily, keeping your focus on operating and growing your business. 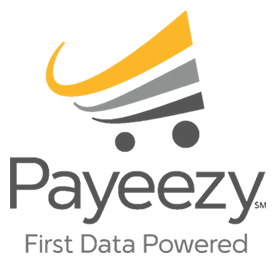 First Data AdvantagesThe Payeezy Gateway offers advanced payment functionality built for any size merchant through flexible and simple integration and set-up options. Our payment gateway solution is backed by an extensive set of online support tools as well as a dedicated support team available to answers questions whenever they arise.